Anisa Purbasari/Business InsiderIn front of the Taj Mahal in Agra, India. When planning a trip abroad, purchasing travel insurance can sometimes seem like an annoying added cost. Unless you’re accident-prone, it can be difficult to truly appreciate its value. But a scary incident involving street dogs in Cambodia made me appreciate spending that extra money. When I was 26, my husband and I spent nine months travelling the world as I navigated a career change. In Siem Reap, Cambodia, we made the mistake of going for a 7 a.m. run. We passed a group of dogs, who, for whatever reason, decided we were much more interesting targets than everyone else around us. I escaped before one could bite me, but my husband wasn’t so lucky. One of the dogs managed to get his teeth on my husband’s calf, leaving him with a cut. Aware of the risk of rabies and the fact that left untreated, the virus usually leads to an extremely painful death, we immediately went to the hospital to get treatment. It was covered entirely by our insurance. We were told that the full dose of treatment would have cost us about $4,000, if we were paying out of our own pocket. Our travel insurance for the both of us cost about $600. It may seem like an aberration, but that wasn’t the only time we felt at risk from something that seems an non-threatening as street dogs during our travels. Travelling to New Delhi, India, a month earlier, my husband and I were due to go to the train station at 5 a.m. to join our friends to attend a wedding in another city. The only worry on our mind was hailing a rickshaw driver that would get us there safely without charging us an exorbitant amount of money, and making sure that our belongings wouldn’t be stolen. What we didn’t expect was to be practically engulfed by aggressive street dogs, who barked, howled, and stared, seemingly ready to pounce. They seem so harmless during the day: dozy and sleepy and ignoring the throngs of human traffic that pass through New Delhi streets. 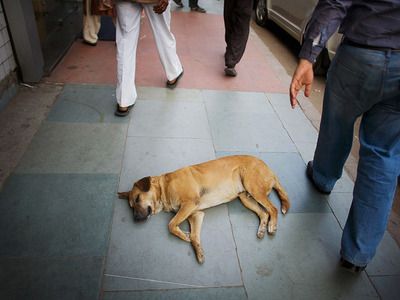 Daniel Berehulak/Getty ImagesA street dog in New Delhi, India, sleeping in the middle of the day. But at five in the morning, they made me fear for my life. I remember crying hysterically, thinking we were going to be mauled by dogs in the middle of New Delhi with no one to help. My husband somehow calmed me down and convinced me to walk slowly, with my eyes closed, as he held my hand. To our relief, they lost interest and disappeared. We were able to get to the train station without a hitch. If things had gone even a little differently, we could have been in the same situation as Cambodia: hurt, scared, and in need of financial help. We only needed to use our travel insurance in one instance, but I couldn’t help think about what it would have been like had the situations been a lot more serious and we didn’t have travel insurance. The damage to our bank account would have been much more dire, that’s for sure. Or worse, we might have been forced to accept lower quality medical care — not something you want to take a risk with when your husband’s life is on the line. We got ours through 1Cover, and I’ve also heard good things about World Nomads and Travelex. 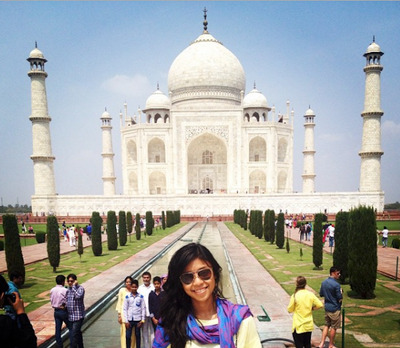 One thing’s for sure: I will never skip travel insurance on a trip abroad.